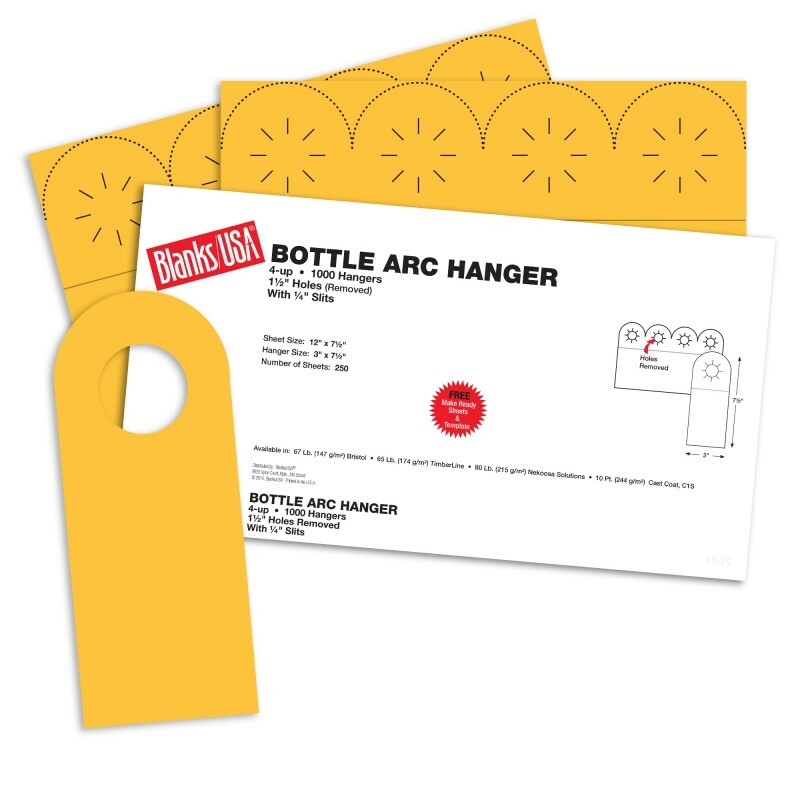 With Blanks USA Bottle ArcHangers you can make your ad campaign or any bottle presentation project easy, effective and efficient. Each hanger is made from a quality 65 lb cover stock. 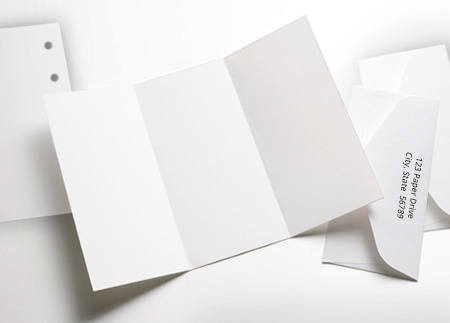 This medium gauge paper is perfect for all printing applications including, offset printing, laser printing, color and black copy machines and inkjet printing. Clean bottle neck holes for easy handling are built into this handy product. Each sheet has 4-up Bottle ArcHangers per full sized sheet. Each finished hanger must be individually cut from the full sized sheet producing a finished Bottle ArcHanger size of 3" x 7 1/2" with a 1 1/2" multi-slit bottle neck hole at the top for better lay flat and ease of use. Your bottle presentation project will take on a professional and elegant look when using this outstanding product. Each package has 250 sheets of 12 x 7 1/2" with 4 door hangers per sheet which must be cut apart by the customer for a total of 1000 Door Hangers per package.